When you look at this sweet ornamental plant, you would never guess that the closest “relatives” of it are goosefoots and saltbushes known as extremely obtrusive weeds. Traditionally its tied dried “shrubs” were used for making brooms: the branches played the role of a broom head and the stems served as a handle. 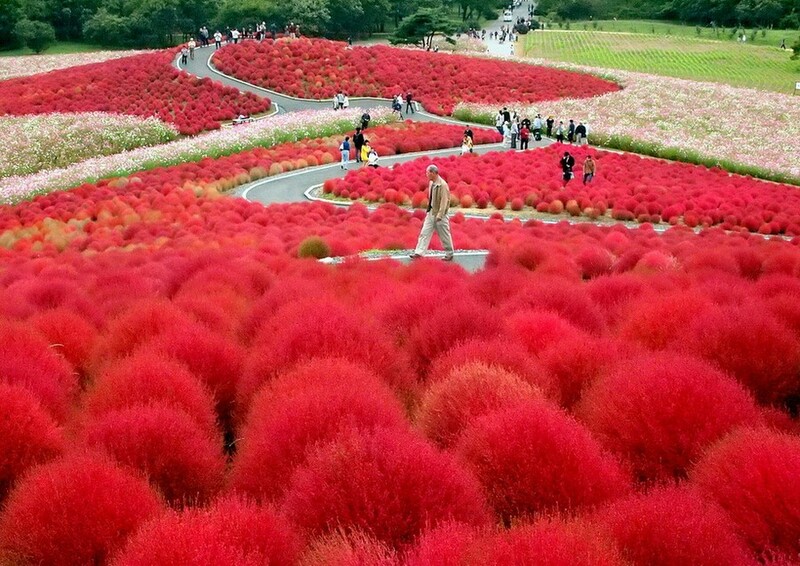 But back in the 17th century the trend of growing Kochia as an ornamental plant took over the entire Europe. The man who revealed wonderful ornamental properties and shaping potential of this plant was a famous German botanist Wilhelm Daniel Joseph Koch, and it was named in his honor. 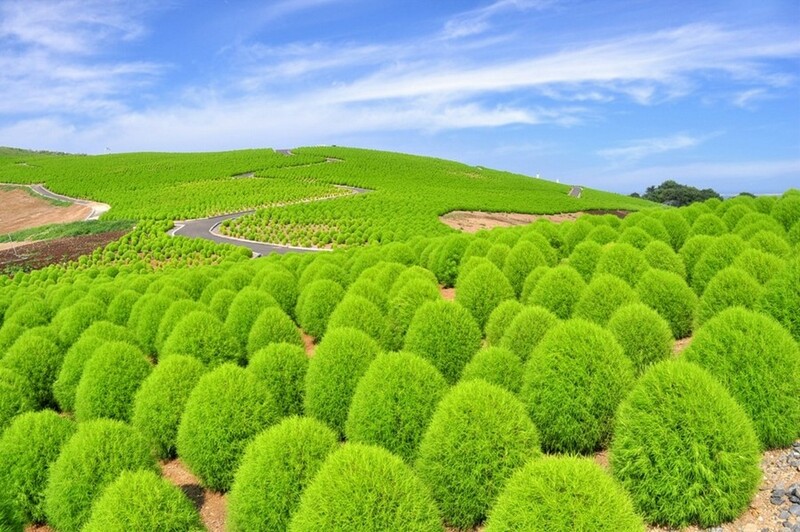 In academic literature Kochia is frequently referred to as “Bassia”. But most often people call it “annual cypress” or just “summer cypress”. 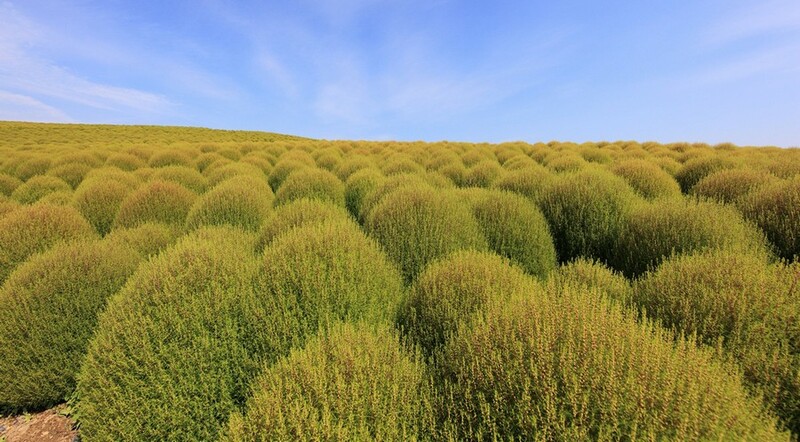 Definitely, due to dense tiny foliage the Kochia appears reminiscent of small cypresses, but on touching it you will see that they have actually nothing in common besides their appearance. Kochia has just one cultivated variety – Kochia scoparia, which in turn includes two subspecies – Kochia scoparia childsii and Kochia trichophylla. The former is evergreen, and the latter is known for its amazingly beautiful crimson red color of foliage in autumn. Both species grow very fast and reach the height of about 1.5 meters. 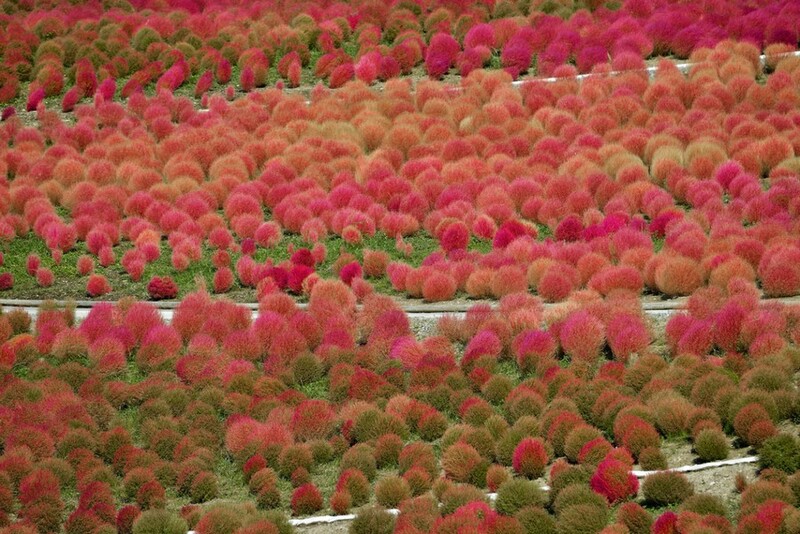 Gardeners and landscape designers especially appreciate Kochia for its tolerance to trimming and pruning. The only disadvantage is that this is an annual plant. The Bassia’s country of origin is China, but nowadays it’s cultivated in many countries of Europe, Asia, America and Australia. Infusion of Kochia is used as a good tonic and diuretic. In traditional Chinese medicine foliage and fruits of Bassia are added to ointments for treatment of skin and nail diseases. And fans of healthy lifestyle even use its foliage as an ingredient for salads and soups. So, how to grow this amazing plant? How to grow Kochia from seed? Growing Kochia is very entertaining and simple. The only discouraging thing is that this plant is very vulnerable to sharp temperature changes, and hence even the slightest late frost can kill it. However, Kochia is absolutely drought-tolerant and feels well even in case of water shortage. There are two options of growing Kochia: planting seeds directly into open ground from the beginning of May to late June, or growing from seedling in April. By the way, Kochia perfectly reseeds itself. Just like strawberry and petunias, the seeds of Kochia need sunlight to germinate. So, just sprinkle the seeds on top of the soil and slightly press. 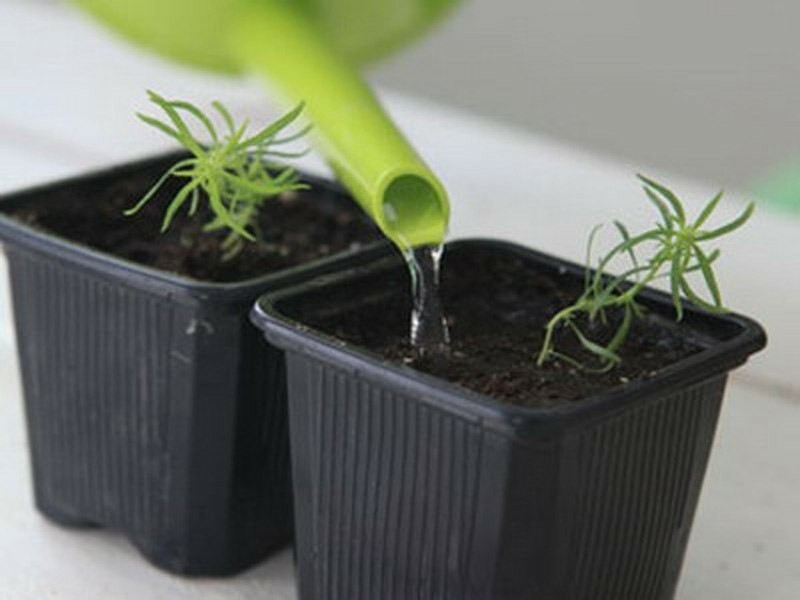 Shoots of Kochia initially planted directly into open ground can survive the frost, while seedlings should be transplanted outdoors just when you feel absolutely sure that late frost is no longer possible. Bassia loves freedom, so make sure that you leave at least 30 cm between the plants. Failing this, you will get an unattractive “broom” instead of a gorgeous ornamental plant. 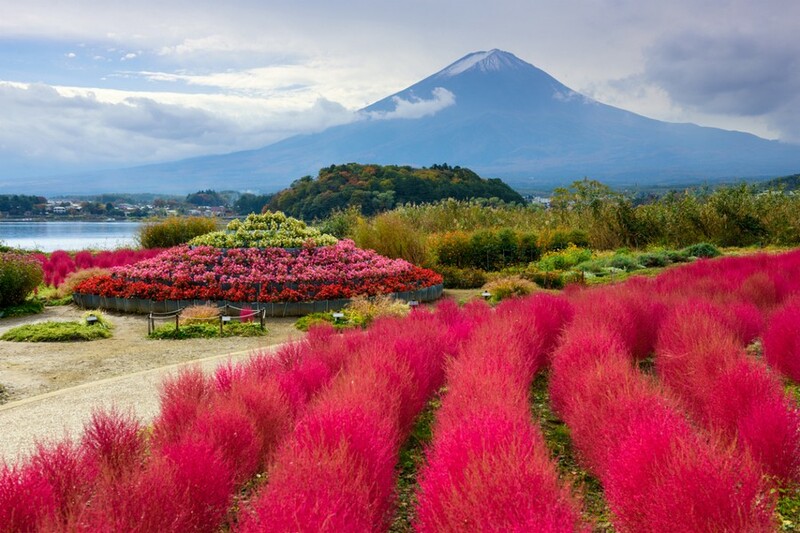 Though Kochia is quite undemanding, it feels better in sunny places and in fertilized soil. And it’s not recommendable to plant it into waterlogged or acidic soil. How to care about Kochia? Like any other plant, Kochia needs frequent soil loosening and weeding. As for mineral fertilizers, it can be supported by them twice: 10 days after transplantation into open ground and once again in a month. Nitrogen fertilizers will be welcome in the phase of intensive growth and after each pruning. Also, Kochia is very responsive to any liquid fertilizers. But don’t forget that care about Kochia is not limited to fertilization. This ornamental plant is perfectly tolerant to trimming and pruning, and can be shaped once in a fortnight. You can give it almost any form – from a ball or egg to a pyramid or cube; it’s just a matter of your imagination!